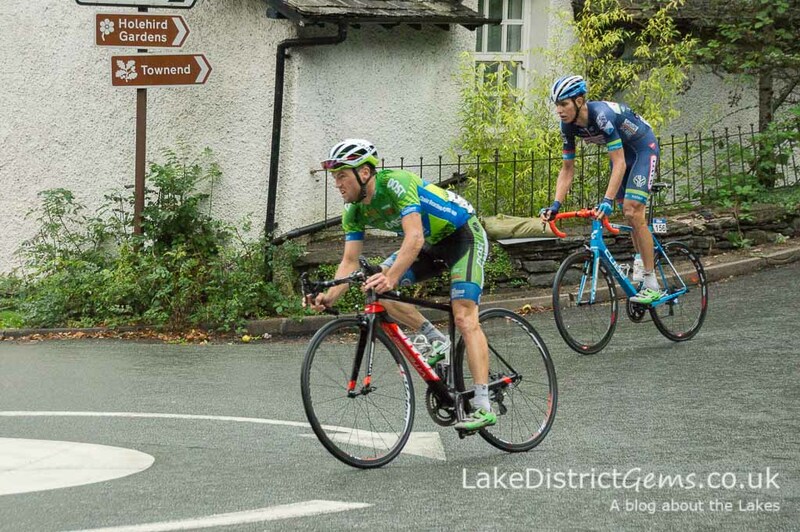 Today, the Tour of Britain once again passed through the Lake District, this time setting out from Carlisle and finishing in Kendal, and climbing the fearsome ‘Struggle’ up to Kirkstone Pass! 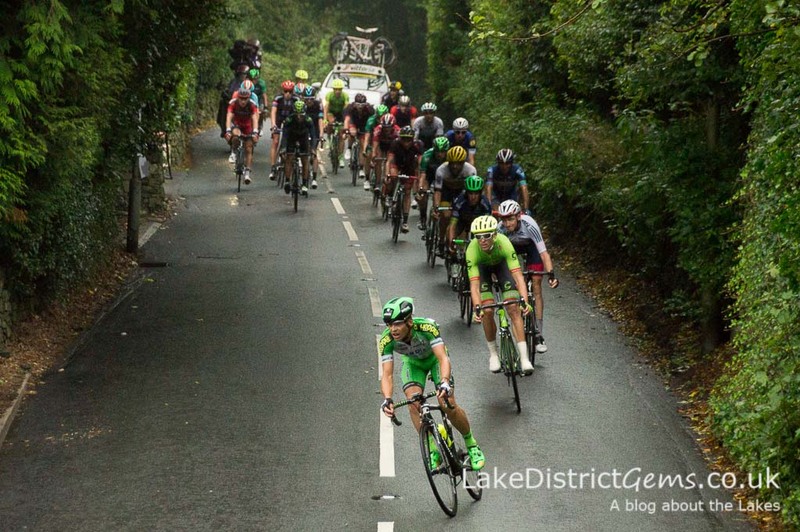 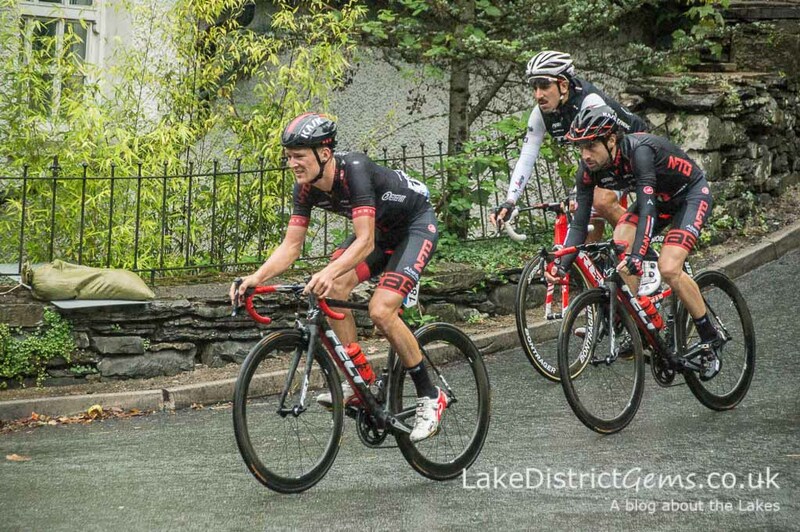 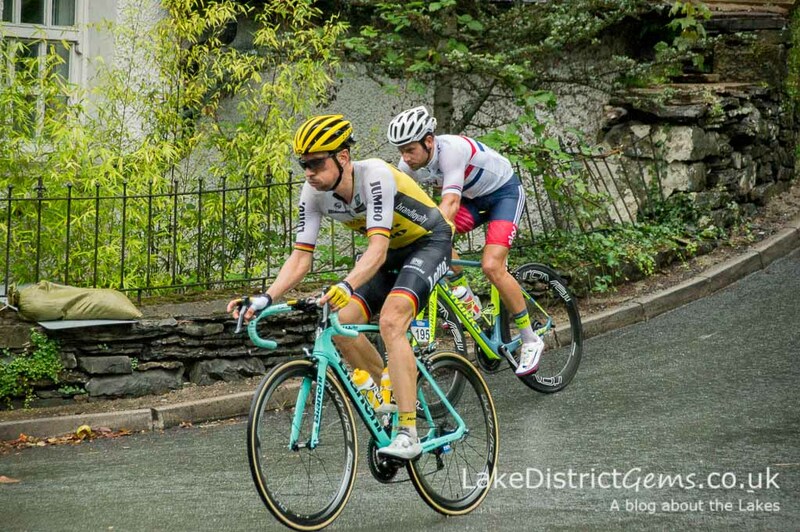 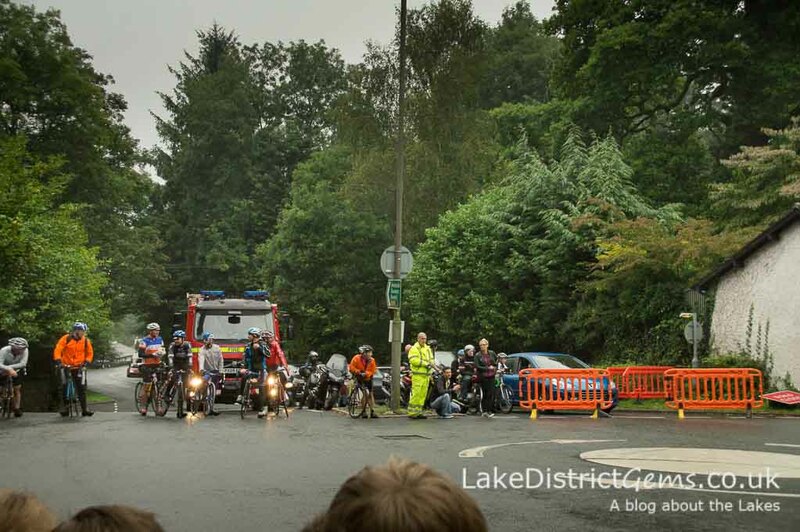 It was a shame that once the riders reached the South Lakes they were greeted with rain, but it didn’t stop a number of us from gathering at the Cook’s House Corner roundabout near Windermere to see them descend from Patterdale Road onto Rayrigg Road. 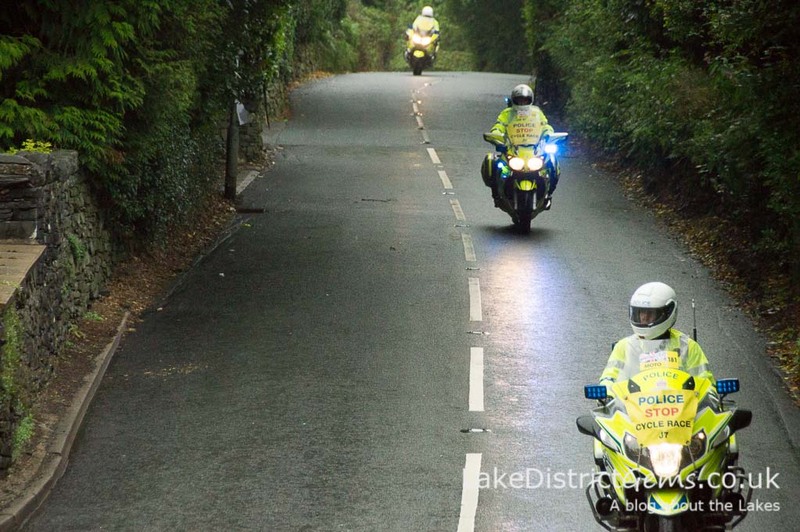 Maybe it was because there were lots of children in the crowd, but one of the most entertaining parts about waiting for the tour riders was seeing the police motorcyclists passing through, many of them giving everyone a big wave! 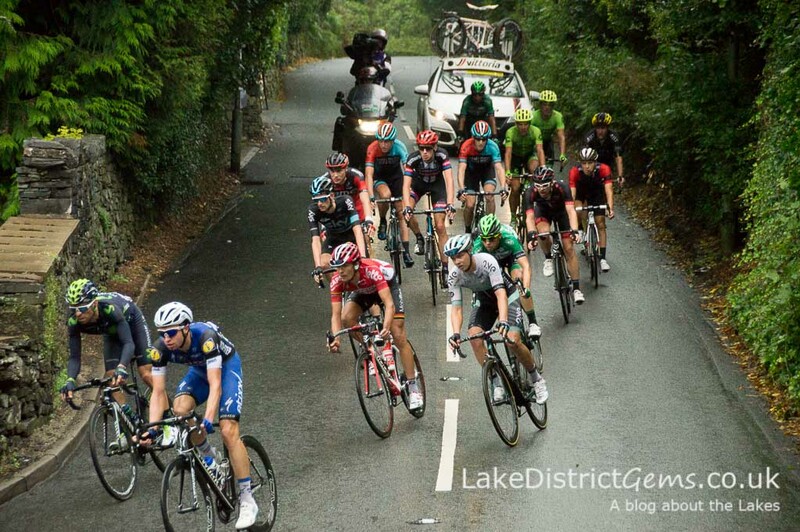 We heard at one point that the pack of riders had been split up whilst climbing the Struggle, and we waited much longer than had been expected for them to arrive, probably due to the weather (so long in fact that people had long since started to applaud any poor unsuspecting cyclist who happened to be passing, much to their obvious confusion!). 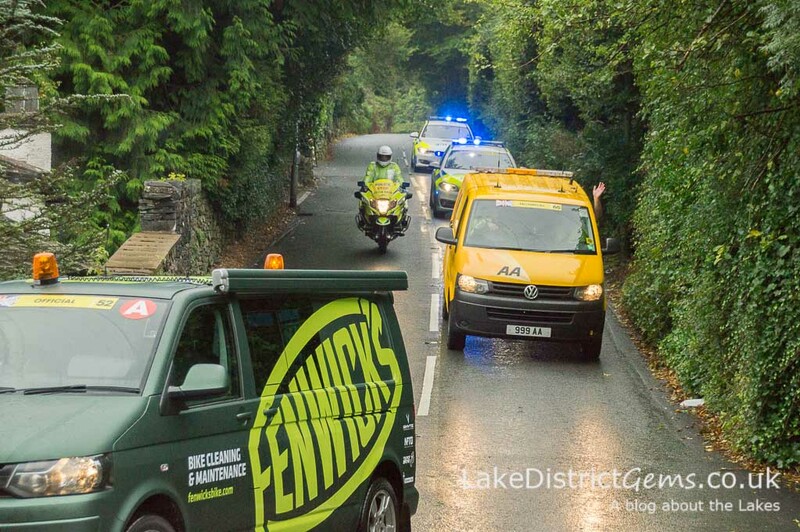 Wave to the AA everyone! 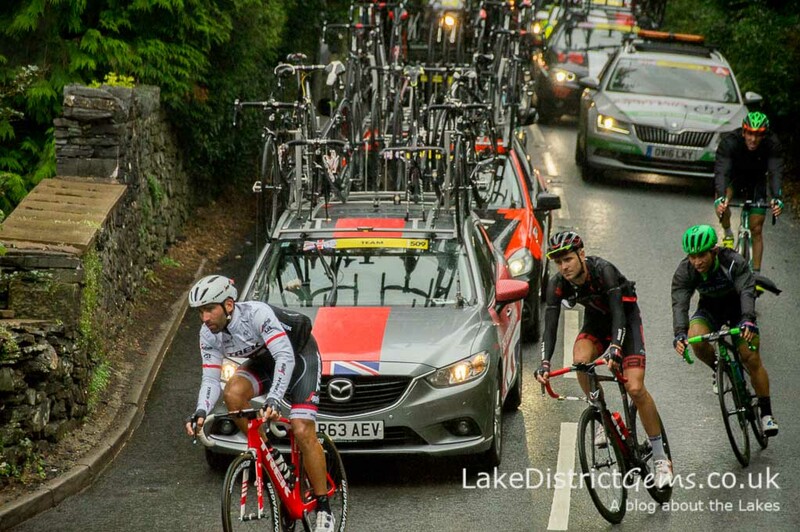 Did you get to see the Tour of Britain for yourself this year? 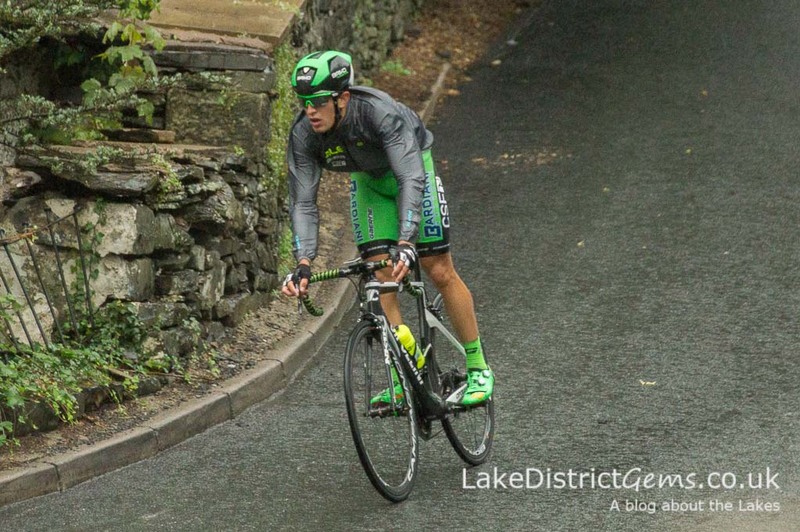 Share your experience with us by leaving a comment below. 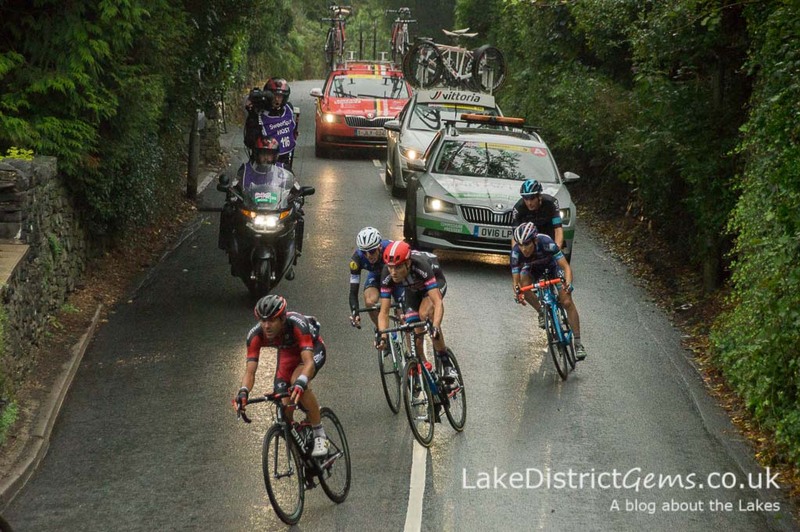 I’ve just seen some of the TV coverage from the climb up the Struggle above Ambleside – that looked tough!